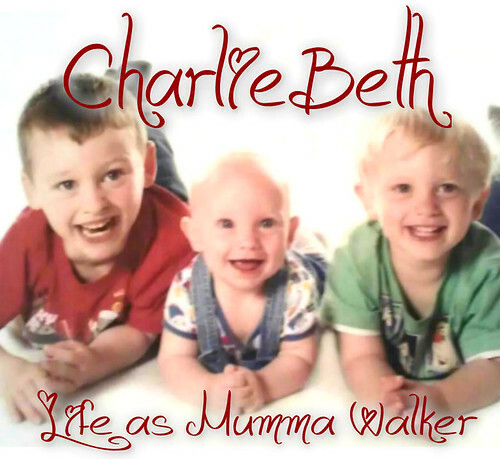 Mumma Walker's 7 Years of Pregnancy by CharlieBeth: 3 Weeks To Go! I'm flip flopping between excitement and terror. I'm certain now that this next baby will be my last (saving for any heartbreaking disasters that I don't want to tempt fate on). They say you know when you're done. I almost am. With Georgie taking his first steps in the last few days and growing in confidence every time he waddles along without holding on, I know that I'm days away from not having a "baby" any more. He's about to be a Toddler. And I have a baby shaped void that needs to be filled just one more time. I drive by the hospital on my way home from work. Not the maternity end, but close enough. I feel butterflies and get a small smile on my lips every time I drive past. Soon, hopefully in only a few months time, I'll be off to the Women's Unit to have my scans, the (accursed and unfounded) Gestational Diabetes appointments, and eventually have a baby. I passed one of the midwives coming out of a home visit on my way home today too, chatting and laughing with who I assume is a new Granny to some squashy little bundle of love tucked up inside with mummy and daddy. Broody just isn't the word! Around the dinner table tonight we all got chatting about babies and when mummy and daddy have another baby. Jack says he's like a sister this time. Tom says he wants another brother. Georgie just screwed up his face not having a clue what anyone else was getting so animated about. It was all going lovely until the kids started talking about twins and triplets.... I'd be happy with just ONE more baby thanks. I would find room in my heart and my home for multiples if they were to happen but I'm not about to start ordering fertility treatments of the internet to try and boost my chances! So the countdown is on I have 20 pills left..... EEEEK!